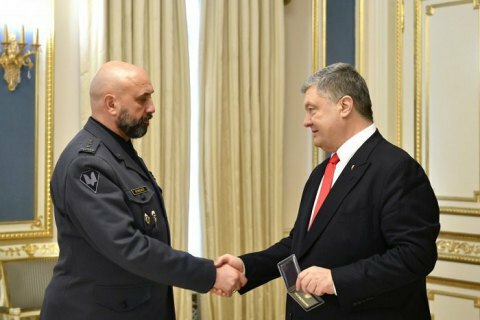 President Petro Poroshenko has appointed a deputy secretary of the National Security and Defence Council of Ukraine, Serhiy Kryvonos, as chairman of the interdepartmental commission on military-technical cooperation (MTC) and export control policies. The relevant decree comes into force on the day of publication, according to the official website of the head of state. Previously, this position was held by First Deputy Secretary of the National Security and Defence Council Oleh Hladkovskyy who stepped down amid allegations of corruption during defence procurement.